The debate over the educational preparation of RNs has raged for over a century. In New York, chief nursing officers are partnering with academic colleagues and successfully implementing a model that standardizes education requirements, supports seamless transition from associate to baccalaureate degree programs, addresses financial barriers, and identifies expected outcomes of a more educated workforce. 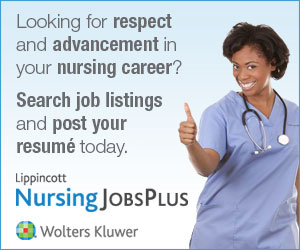 Nursing leaders are perfectly positioned to advance the educational standards of the profession in the United States. As early as 1902, Susan B. Anthony suggested that a "day will come when nurses will be university prepared. "1 Thanks to the release of landmark reports published by the Institute of Medicine2 and the Carnegie Foundation,3 the day Anthony envisioned 100 years ago is now here. The new challenge is executing a plan that will advance nursing to a predominately baccalaureate prepared profession. Nursing leaders in service and academia are perfectly positioned to make this recommendation a reality. Nurses in New York pursued a statutory mandate in an effort to advance nursing education uniformly across the state. At the time, nursing leaders were advised the only route for raising the standard for nursing education was through legislation. While New York will continue to pursue change through statute, other states may find success using approaches suggested by the Institute of Medicine2 through state regulation or national accrediting bodies. The proposed New York legislation requires nurses to obtain a baccalaureate degree in nursing (BS) within 10 years of completing a diploma or associate degree (AD) program. Unlike previous proposals that mandated the acquisition of a BS as a condition of licensure, this model supports continuation of diploma and AD programs as important options for entry into the profession. The New York model recognizes the benefits of education without disadvantaging future new graduates and responds to the healthcare needs of its citizens. The proposed change in the New York Nurse Practice Act has had substantial opposition from key stakeholders, particularly community college presidents, the state healthcare association, and labor unions. In full support of the legislation are the majority of New York specialty nursing organizations including the Hispanic and the Black Nurses Association, as well as the New York State Deans Council on Baccalaureate and Higher Education, the Council of Associate Degree Nursing Programs of New York, the New York State Nurses Association, and New York Organization of Nurse Executives. Nursing leaders in practice and academia have used their collective influence in the implementation of a practical model that addresses many stakeholder concerns, enhances access to education, and outlines specific benefits of a more educated workforce. Although the New York Nurse Practice Act has not yet changed through the passage of the legislation, substantial support has been gained, and components of the model have been adopted by other states. The presidents of New York community colleges have challenged the value of BS education. They argue that all graduates sit for the same national licensing examination (NCLEX-RN) and perform as well on state boards as their 4-year counterparts. Although accurate, the NCLEX-RN measures minimal competency for safe entry into practice and does not test for the additional knowledge and skills of baccalaureate preparation such as evidence-based practice, information management, healthcare policy and finance, interprofessional communication and collaboration, organizational and systems leadership, and population health.9,15 Clarifying the curricular differences between the levels of preparation has been instrumental in gaining support from key stakeholders in New York, especially in the practice arena. Although no state in the United States currently requires a BS to practice, the global community has embraced university preparation for nurses, and standards are rapidly changing around the world. Countries such as Australia, Belgium, Canada, Denmark, Finland, Ireland, Italy, the Netherlands, New Zealand, Norway, the Philippines, and Spain have moved nursing education to the BS level.16-18 The 1999 Bologna Declaration, originally signed by representatives from 29 countries for the purpose of developing common standards of education among the professions, is now endorsed by 46 countries and has profoundly impacted nursing education around the world.19,20 The new structure for higher education has improved the competitiveness and status of nursing in these countries, with a resulting increase in number of new graduates and nurses per 1,000 population.16 In neighboring Canada, the number of nurses entering the profession increased in each province in which the education standard was raised to the baccalaureate level.21 The fear that mandated BS education will exacerbate the nursing shortage has hampered advancing educational standards in the United States, but has proven to be unfounded in countries that have increased education requirements. Discussions on the international impact of BS education and the ensuing growth in nursing in every country that raised their standard have been instrumental in winning the support of nurses, legislators, and chief executive officers in healthcare organizations for the New York model. Designed after teacher preparation, the New York model proposes revision of the Nurse Practice Act, as reflected in Bills A2079B/S4051, and has been approved by the Higher Education Committees of both the senate and assembly.22,23 When passed, future professional nurses will be required to attain a BS within 10 years of graduating from a diploma or AD program. The proposal does not affect currently licensed RNs who will be grand-parented. Because only 30% of New York nurses initially prepared at the AD level voluntarily achieve a BS,24 the legislation mandates its acquisition, and those who fail to meet the standard will be referred to the State Board of Nursing for further action. The board will then either place the nurse's license on hold or, in extenuating circumstances, allow an extension. More than 660 RN-to-BS programs are offered nationwide, including more than 390 programs that are partially available through distance learning.28 Fortunately, the current faculty shortage has not impacted capacity in RN-to-BS programs in most parts of the country.29-31 Across New York, innovative partnerships have emerged, thanks to the work of chief nursing officers and deans. Healthcare organizations now link with institutions of higher learning for onsite RN-to-BS programs and accelerated fast-track graduate education. Access to nursing education in rural areas is now possible through online and satellite programs. One-plus-two-plus one and two-plus-two programs make baccalaureate education more affordable, allowing students to complete liberal arts and science classes in a community college and then transfer into a college or university for upper division nursing course work. In 2009, New York deans reported immediate availability to admit more than 5,000 RN-to-BS nursing students into existing programs, which more than meets capacity needs (Cooney Miner D. Minutes of the Council of Deans of Baccalaurette and Higher Education held April 30-May 1, 2009 in Albany, NY). Deans and directors from New York AD and BS programs agreed to the execution of a statewide articulation agreement, standardization of college prerequisites, and the development of entry-level competencies at their 2009 annual joint meeting. They agreed to foster and support innovative education strategies similar in the state to those successfully implemented in Oregon.32 In 3 pilot projects, students are concurrently admitted to both AD and BS programs. In all of these innovative programs, students experience a seamless transition to the next level of education because prerequisites, admission criteria, and curricula have been standardized. Collaboration between leadership in academia and service is ensuring both quality and quantity in the RN workforce. The financing of education has been reported as a barrier for nurses in returning to school, despite increases in salaries over the past several years.10,26,33,34 The average salary of an RN in the United States is $62,450, and in New York, the rate is higher at $73,000.34 More than 90% of New York healthcare employers provide tuition assistance, and although organizations plan to continue this benefit, they cannot afford to bear the burden of additional tuition costs.26 Most healthcare organizations in New York operate on margins of less than 1%.26 Nursing leaders committed to chief executive officers in statewide meetings that healthcare organizations will not be asked to increase their tuition budgets when the practice act is changed. In forums with clinicians, nurse executives have discussed professional responsibility in financing part of their education. Allowing 10 years for attainment of a BS was deliberate and assumes nurses will work full time and fulfill the additional 60 credit hours required by taking 1 course a semester. The establishment of an endowment for nursing scholarships has been proposed as a means to fund any gap. Under consideration is a request to allow donations for a statewide nursing scholarship as part of the renewal process for professional nurse registration. According to the New York State Education Department,35 there are 269,815 RNs in New York, which provides great potential for a renewable source of scholarships for nurses by nurses. Given the current economic environment, approval of such a program, which requires legislation, will not occur quickly. In the interim, communication regarding available federal and state nursing scholarships is widely distributed in an effort to reduce out-of-pocket tuition. Occasionally, nurses cite finances as a barrier to returning to school when the underlying issue is fear of failure. In the New York experience, nurses participating in onsite cohorts acclimate more easily because of built-in support systems, which has been as important as tuition assistance. Many healthcare administrators support the case for advancing nursing education, and increasing numbers of RNs have joined the effort. Because outside influences, especially several unions and community college presidents, persist in their efforts to derail the legislation, the New York Organization of Nurse Executives engaged a lobbying firm to assist in advancing the proposal full time. The nursing leaders recognized the need to increase their presence and influence in the capitol. The number of citizens from outside the profession who believe they possess the expertise to determine the educational standards for RNs and the future of the profession has been stunning. The intensive work to adequately inform and ally concerns from these constituents continues to be challenging. The power of stakeholder meetings attended by nurses in practice, academia, students, and the state board of nursing cannot be underestimated. As the nation's largest group of licensed healthcare professionals, nurses play a major role in the design, delivery, and transformation of healthcare. Advancing the profession through an investment in education serves the nation's health and advances the greater good. If nursing continues to be the least educated member of the healthcare team, its role and influence will be limited. Supporting baccalaureate education as described here is an essential next step in the progression toward a more educated nursing workforce committed to lifelong learning. If not now, then when? If not us, then who? In New York, the model was created when leaders in practice joined with colleagues from academia and the State Board of Nursing in a shared vision. Nursing is perfectly positioned to assume a leadership role in healthcare reform, and it is up to nursing leaders to raise the standards of nursing education so that the vision becomes a reality. The authors thank Karen Ballard, MA, RN, FAAN, and the New York State Nurses Association for their partnership with leaders in advancing the education of nursing in New York.